As the warbird and restoration movement continues to gain momentum in Australia, Flightpath will be very much at the forefront. Flightpath is the ultimate aviation accessory. 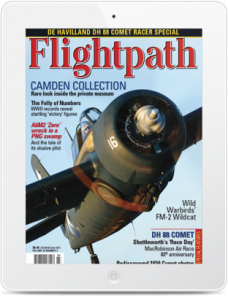 Flightpath is an upmarket magazine for devotees and owners of antique, classic and ex-military aeroplanes. It focuses on the preservation of our Australian Aviation heritage. Each issue of Flightpath covers the latest news on the recovery and restoration of antique, vintage and warbird aircraft in both museums and private collections. 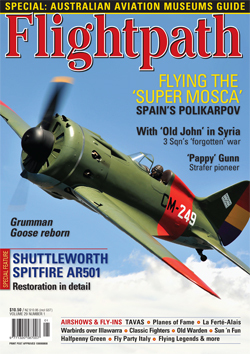 Flightpath will continue to be Australia’s foremost warbird and classic aviation magazine. The ultimate aviation journal, Jane’s Historic Military Aircraft, recently rated Flightpath among the world’s top six historical aviation publications. The Australian Flying website – parent brand of Flightpath – is packed with the latest news, reviews, features, events, destinations, galleries videos, blogs, competitions and everything else you need or want to know about flying light aircraft. Flightpath is Australia’s only magazine providing comprehensive coverage of warbirds, antique and classic aircraft. Published quarterly, Flightpath delivers all the latest news on restorations, discoveries and recoveries Downunder and in the South Pacific region. The stories are unique and the photography is exceptional. Published for more than three decades, Flightpath has become a collector’s item in its own right. 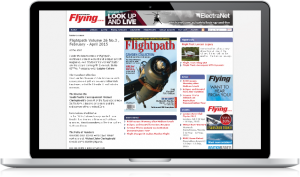 Australian Flying – parent brand of Flightpath – has an free email newsletter that is sent out weekly on Fridays to pilots, operators and training organisations + anyone with an interest in general aviation who wants to subscribe. 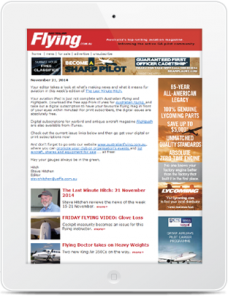 The newsletter is promoted in the magazine and, in turn, drives traffic to the Australian Flying website.